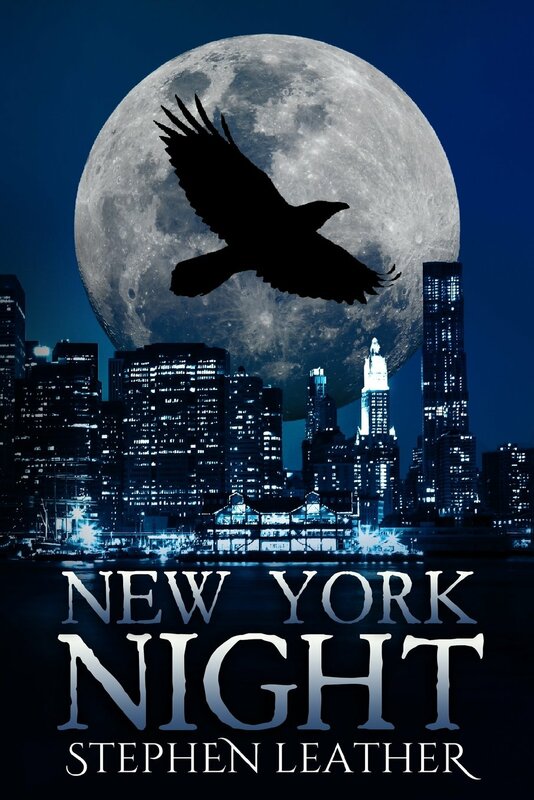 New York Night is the seventh novel in the Jack Nightingale supernatural detective series. New York Night by Stephen Leather is a great supernatural read for teens! The story is nicely paced, the main character is likable, and the writing is entertaining. I definitely recommend this book! Firstly, can I just say how cool the main character's name is? Jack Nightingale. He's often referred to as a modern day Sherlock, which I think fits quite nicely. Except, you know, he deals with demons. Although this book is presented as a standalone, I feel like it would still be nice to have read the previous books. I wasn't able to really attach myself to his character. I don't think he went through much development in this book, but those who have read the books from the beginning would probably disagree. Nonetheless, I did find it enjoyable to go on this adventure with Nightingale (still a cool name!) because he has a very charismatic and humorous personality. Cheryl Perez is like the side kick in this book. I guess you could call her Watson, if we were to carry on this Sherlock theme. I'm not sure I like her character very much. At first, I saw as a very independent and intelligent person. But by the end of the book, she seemed a bit pretentious. I won't say anything in case I spoil something. You'll have to read it to know what I mean. Dee-anne, Matt, and Steve were the "bad guys" of the story, but they were pretty cool characters to follow around. This story was a fairly quick read. The story sucked me in fast, and kept me interested. The plot moved between the stories of several different characters, only being connected later on. It was fascinating to learn about all of those lives. I liked how all of it tied together at the end (I won't give away too much). The book had me asking many questions though, about Nightingale's past mainly. I feel like I would have experienced this better having read the other books. I would still agree that this could be read on it's own, but not recommended or preferred by me. The story line takes place in several parts of New York, as the name suggests. The constant travelling between cities was refreshing, and makes it much easier to remember the backgrounds of the several different characters. It reminds me a lot of Supernatural (the TV show), which I totally love. Stephen Leather's writing is very playful, if you will. It's funny, for sure, but dark at the same time. I was originally thinking that the book is targeted more towards teens, but due to some profanity and sexual scenes ... I'm thinking older. On another note, I love the way the characters interact: the quick dialogue between Nightingale and Perez, the demon talk, and the switch in grammar and speech for side characters. It has the perfect mix of gore and comedy, which I think is pretty difficult to write without it being tacky, so kudos on that. - The incorporation of Charlie Charlie. It was cool to see that popular fad play its part in the story. - Perez's character could have more of a development. This is a decent thriller for older teens. I actually really enjoyed the book, and will be checking out more of Stephen Leather's books. My rating is 4/5 stars. Have you read this book? Let me know in the comments! Read on. NOTE: I was sent a copy of this book by BookBear in exchange for an honest review. The "Can't Wait" Books of 2016!